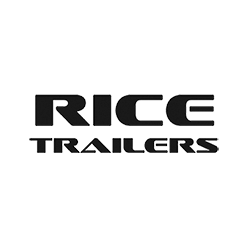 Founded in 1987 as a simple two-man operation, Rice Trailers has grown into one of the premier trailer manufacturers in the nation. Creating made in the USA Utility Trailers, Dump Trailers, Deckover Trailers, and Flatbed Trailers, Rice Trailers offers over 20 different model lines. They utilize top of the line technology, such as precision robotic welding, in order to manufacture the best trailers on the market today.